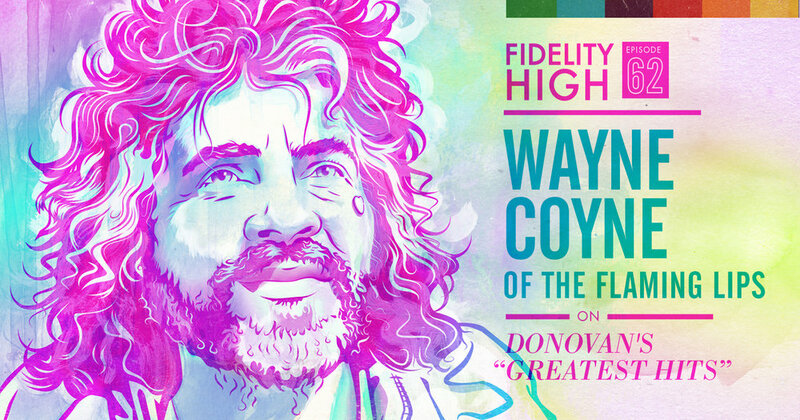 Wayne Coyne is a musician, visual artist, and frontman of the legendary psychedelic rock band The Flaming Lips. Formed in 1983 in Oklahoma City, OK, their hit song "Do You Realize?" was named the state's official rock song and an alley has also been dedicated to the band by the Oklahoma City Council. In 2001, Wayne made his directorial debut with the science fiction film Christmas on Mars and he is also the writer and illustrator of the comic book The Sun is Sick. The band have won multiple Grammy Awards and are also the subject of the 2005 documentary film The Fearless Freaks. Well known as a must see live act, The Flaming Lips broke the Guinness World Record for the most live concerts performed in a 24 hour time span. Wayne is a frequent collaborator of Yoko Ono, Kesha, and Miley Cyrus, and alongside the other members of the Flaming Lips, released the 23 song album Miley Cyrus & Her Dead Petz in 2015. Wayne is also the creator of The King’s Mouth, an enormous and immersive art installation piece that is synchronized to an exclusive soundscape by the Flaming Lips. The Kings Mouth is a traveling installation that has been hosted at several museums. In 2017, the Flaming Lips released their 14th studio album, Oczy Mlody to critical acclaim. This year the band have received a Tony Award nomination for their work on the original score of SpongeBob Squarepants: The Musical. They have also released Scratching the Door: The First Recordings of the Flaming Lips, and are set to release the first volume of their Greatest Hits this year via Warner Bros. Records.